Two years ago today, they became targets of genocide. For the Yazidis, an ancient minority in Iraq, August 3 marked the beginning of their very own Year Zero. It is the day that has defined every day after. For the Yazidis, there is before ISIS, and there is after ISIS. As ISIS swept across the hot Nineveh plain, Yazidi men and women gathered in communities all around Sinjar Mountain to debate their options: flee, fight, or convert to the militants’ ultra fundamentalist distortion of Islam. After local military forces vacated the area, many Yazidis made their last stand. They had less weaponry or training than their enemies—but they would not run or convert. Thousands were rounded up by ISIS. Women and girls were taken to Mosul—Iraq’s second largest city, which had captured by ISIS only months before and made their capital in Iraq. There, innocent Yazidis were sold into the worst forms of slavery. Yazidi men and boys were executed by the hundreds because they would not fight or convert. Three dozen mass graves have been discovered around Sinjar Mountain, and more are found every time ISIS loses ground. The rest—those who escaped death or capture—fled. They are now living in camps, abandoned buildings, shipping containers, or at the top of Mt. Sinjar itself… and it all began on August 3rd. READ MORE: The Most Persecuted Group in Iraq? That day, a high school teacher named Jameel loaded his family into their pickup truck. When he spotted a truck full of ISIS fighters heading their way, he took a breath, turned to his wife and kids, and said: “If they stop for us, I may have to kill you.” It was the only way he knew to spare them from the torture and enslavement they would surely suffer if captured. That day, a mother named Sozan fled with her children in her arms and another growing inside her womb. Not everyone made it. Sozan lost a child to ISIS before reaching the safety of her new home, a leaky shipping container in a muddy field. That day, a young man named Faris crammed into a small car with 14 family members—brothers and their families, his kids, his wife, and his ailing mother. They sped across the desert, the sounds of gunfire popping behind them. What must it feel like to have your entire family—your entire people—marked for extermination and traumatized in little more than 24 hours? What must it feel like to keep pressing the green “call” button, again and again, hoping this time the call will make it through the congested phone lines and that your mother will pick up and tell you she is safely out of harm’s way? What did it feel like to watch this nightmare unfold from far away, calling friends who were fleeing up the mountain, only to hear them suffering and dying in real time? What does it feel like to still not know where your loved ones are, two years later, and hoping they haven’t been taken as slaves? What is it like to feel alone and forgotten, to wait nearly two years for the rest of the world to take notice and call ISIS atrocities what they are: genocide? We can’t imagine what any of that is like. And to be honest, we hope we never have to. But that doesn’t mean we cannot stand with our Yazidi friends. Many of you have joined us in doing so—and you are continuing to stand with them. You’re supporting Jameel as he works to rebuild Sinjar with our partners at Yazda, a charity focused on serving Yazidi communities in Iraq. You are with Jameel’s family who, mercifully, eluded capture and death that day two years ago. You’re invested in Sozan’s life and in the lives of her children. You’ve prayed for her. You cheered her on when she gave birth to the baby she carried in her womb while running from ISIS. You’ve helped her start her own soapmaking business. You’ve sent our team to sip tea with her and hold her children, to make sure she knows she is not alone or forgotten. You are giving Faris a chance to care for his family of 14 in a way he never thought possible. Today he is a thriving entrepreneur, planning for and dreaming of a brighter future. You’re there on the outskirts of Mosul, bringing aid to displaced families as Iraqi forces inch toward the last major ISIS stronghold in Iraq—and, we dare to hope, toward the liberation of hundreds of Yazidi slaves. You’ve been here in Sinjar, too—loving and serving in the very place where the nightmare began, two years ago today. Every time you give, every time you share the story of these too-often forgotten people, you make a statement. You understand that for the Yazidis, everything changed on August 3. But you also know one moment in time shouldn’t define a community’s future. It doesn’t have to be the last word. To our Yazidi friends, we say: You are not alone. We are with you. 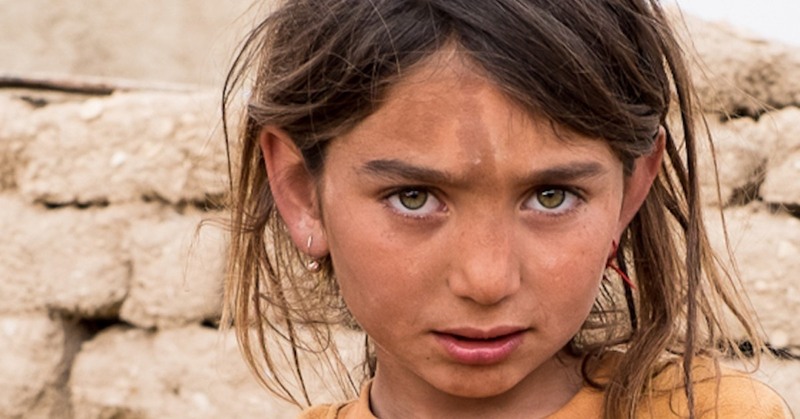 Stand with the Yazidis and other persecuted minorities in Iraq as they rebuild their lives.